In order to truly connect with candidates who want to be part of a diverse organisation, learning their stories and how they think about the world is the first step to take. This is just as true for the people you partner with on the initiatives that will attract them to your business in the first place. 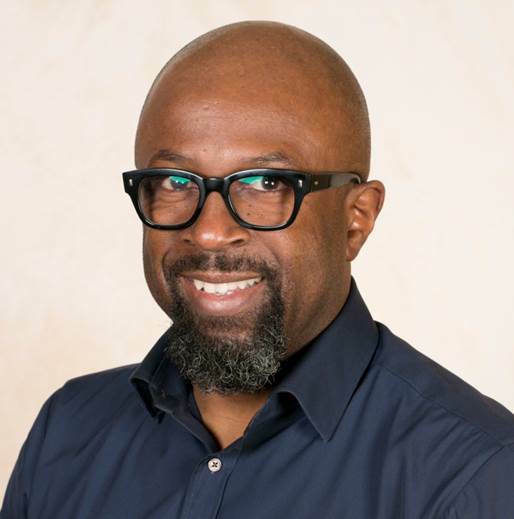 We recently sat down with Tunji Akintokun, founder of the social enterprise “Your Future, Your Ambition” and Director at Cisco, to hear his thoughts about diversity, the people who have impacted his own career, and the power of inspiring ambitious talent early on. Tunji is a Director at Cisco covering Africa. Based in London he has held several leadership positions across Europe, Middle East, Africa, Russia and CIS during his 17-year career at the company. Passionate about diversity in the workplace and encouraging more diverse talent in pursuing careers in Science and Technology, Tunji sits on several boards and councils in the UK including Teach First, techUK, Grant Thornton, Raise Tech and CASPA. This multi-award winner had the privilege of being an Olympic Torchbearer at this years’ Rio 2016 Olympics running in Sao Paulo, Brazil. Did you have a moment in your career, or life that made you think “This is what I should be doing? This is the kind of work I want to do”? Yes, in fact I made my mind up that I would pursue a career in Information Technology at the age of 11. An IBM engineer came to my school for a career talk and brought with him what was a prototype of the IBM PC and explained how this computer that sat on a desk had the computing power of a machine the size of a room. I was fascinated and asked how he got the job he had and what he studied. Suffice to say I followed suit focusing on sciences and mathematics before eventually doing degrees in microelectronics and software engineering. What was a memorable moment for you at this year’s Your Future, Your Ambition (YFYA) event? I had a few memorable moments this year. Firstly it was our 5th event and also taking place during an Olympic year, which is when we started in 2012. Thus I organized a video link from the Emirates Stadium (our home since 2013) to Rio de Janeiro to show how the legacy continues and the work Cisco as an Olympic supporter is doing around STEM during the Rio 2016 games. Secondly, a more personal moment was when one of the staff at the Emirates Stadium approached me to let me know he had brought his son to YFYA in previous years and that it had inspired him greatly, he then showed me a picture of his son who is now at Oxford. Lastly having Jaz Rabadia MBE a Chartered Energy Manager at Starbuck officially opening YFYA 2016 was great as she is such an inspiration. How do you measure the success of Your Future, your Ambition? We measure the success of YFYA from a number of aspects through extensive survey and feedback from the students and schools. KPIs include whether students are likely to pursue careers in STEM, the number of students attending year on year, the number of placements attained (work experience, internships, apprenticeships and graduate intake) to how many organisations participate each year and the quality of the workshops and activities we are able to put together. As a sales leader, you’ve described your management style as being geared around motivating and empowering your teams through people development. Was there someone who fulfilled this role in your life when you were moving up the ranks? I am a great believer in the saying “It takes a village to raise a child”. Although my start in life was quite challenging (I was orphaned by the age of 11), I have always been fortunate that at different stages in my life somebody has either believed in me or seen my potential and have offered to help. That has either been through some informal mentoring through to sponsorship. I have always valued the support others are able to give unconditionally and it has certainly inspired me to do the same. I would say my first business mentor was an entrepreneur called Richie Herbert who took me under his wing at aged 21 and taught me how to run a business and develop a diverse investment portfolio. If I fast forward over my career as a sales leader at Cisco, I have had a great sponsor in Duncan Mitchell CBE a now retired Senior Vice President within Cisco and John Donovan a current Vice President at Cisco and a brilliant mentor to me for over 12 years. In addition over the last 4 years, Dr. Yvonne Thompson CBE has been a great and supportive sponsor helping me immensely. In an interview with NPR, management consultant and Wharton business professor Adam Grant shared that Nobel Prize-winning scientists are more likely to have artistic hobbies than their peers. He went on to say that their artistic sides are to credit with some of their greatest achievements in Science. Do you agree that there’s a connection? How did your experience and interest in creative industries such as music and modeling impact what you do now with STEM and inclusion? Yes I would agree with Adam’s observations and was privileged to have been taught by him at Wharton. We have seen the connection between the sciences and the arts for a while and often hear the term STEAM instead of just STEM to emphasise the Arts. Since 2013 at YFYA we have included creative arts activities linked to the sciences with great organisations like the Flux Dance Theater being a stable contributor. From a personal perspective I have run a music production company and a modelling agency outside of my day job and have no doubt the experiences had a great impact on creating the leader I am today. Your LinkedIn profile reads more like a story of your career rather than a list of accolades and accomplishments. Do you think this skill—the ability to tell a compelling story—is important for business leaders today? Yes, absolutely. I believe storytelling is a great tool to provide a powerful narrative of the type of person you are and provide a level of authenticity for the receiver to relate to. I think people are often more interested in the back story and the fabric of an individual rather than just a list of accomplishments that may be the outcome. 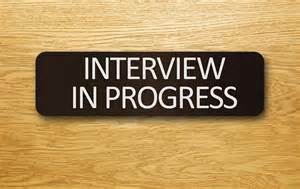 If an organisation wanted to create a more diverse and inclusive workforce, what is one step they can take after reading this interview? I think one step they can take after reading this article is to possibly make the decision to benchmark themselves objectively by conducting something like the National Equality Standard to assess their current status. As Mr. Akintokun’s story shows, it’s important that senior leaders first identify what a diverse workforce means in your own organization and then seek out partnerships with other individuals and organisations that champion the same goal. If your focus is to increase the diversity of your workforce in the tech industry, find out how partnering with Contracts IT can help improve the diversity of your organisation’s workforce by visiting https://contractsit.com/csr-programe.